After posting my Wading Into Controversy article last week, I thought my readers would like to know the response that I received from the Alberta Government when I wrote them (and sent them the link to my article). Thank you for your recent Alberta Connects comment. The Alberta government unwaveringly supports parental choice when it comes to education. Parents can choose a public, separate, francophone, private, or charter school or a home education for their children, and each of those choices is supported by the provincial government. We are proud to support over 5,000 Alberta families who choose home education for their children, and intend to maintain this support. As with the current School Act, the provisions in Bill 2, the Education Act, will provide protection for religious beliefs by allowing parents to withdraw from – or in the case of home school programs to decide on – religious or patriotic instruction or exercises. Put plainly, what Alberta parents teach their children about religion and sexuality is their decision. The Alberta government is not banning home educators from providing religious instruction to their children, nor is it requiring parents to provide instruction that opposes their faith. 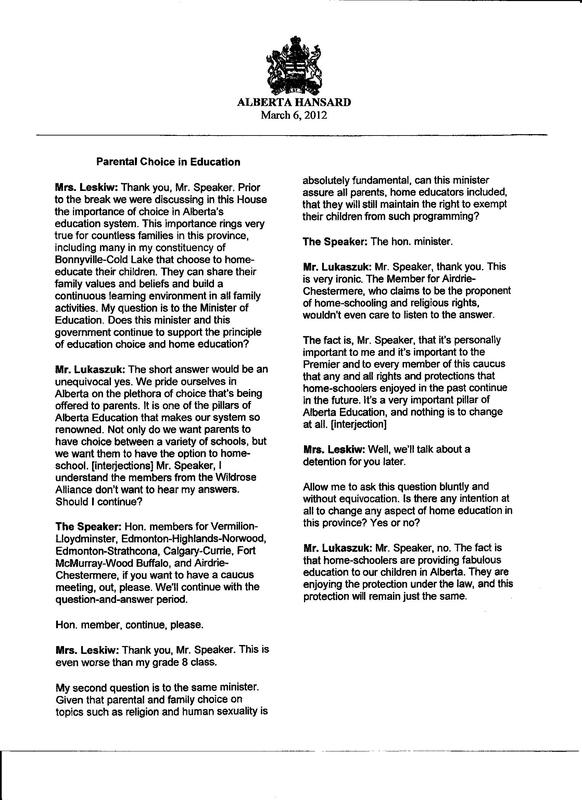 For your reference attached is a record of Minister Lukaszuk’s March 6 response to a question in the Alberta Legislature about homeschooling. The Education Act passed second reading on March. Well readers, what are your thoughts upon reading this? 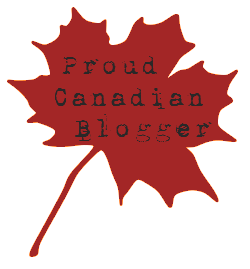 This entry was posted in Canadiana, Proverbs 16:9 - Journey Thoughts and tagged Alberta Education Act, alberta families, Alberta Government, Education, Homeschooling, politics, religious freedoms. Bookmark the permalink.